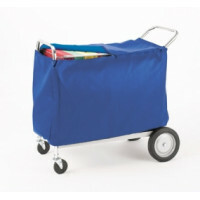 Our most popular mail cart! 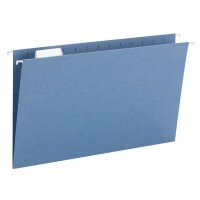 Solid upper file/package tub with easy to push and easy to maneuver wheels is perfect for the office, mail room, mail center and warehouse use. 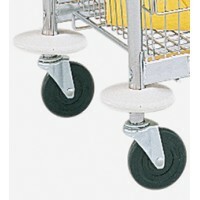 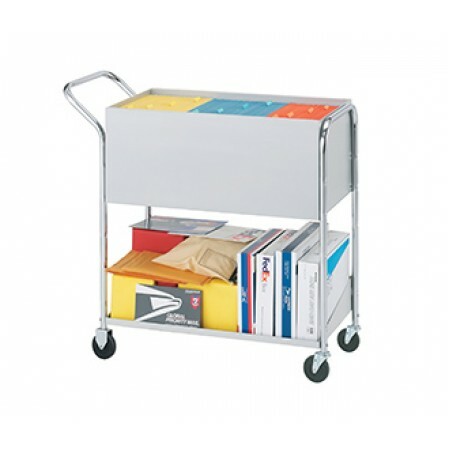 Built strong this mail cart features easy-rolling 4" industrial casters. 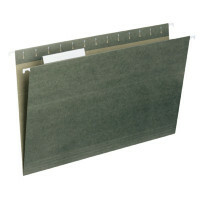 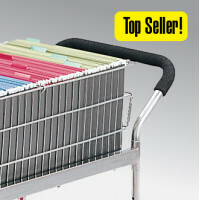 Top file bin easily holds 150 legal-size file folders (file folders sold separately) to cut your delivery time in half. 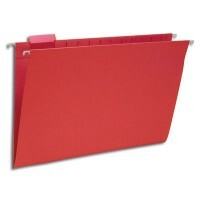 • Top file box is 18 gauge steel with extra bends for rigidity. 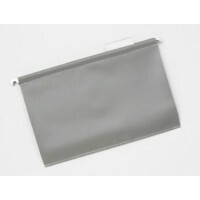 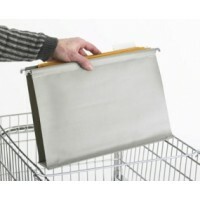 • File rails are wrapped with stainless steel for the smoothest operation for sliding file folders open.